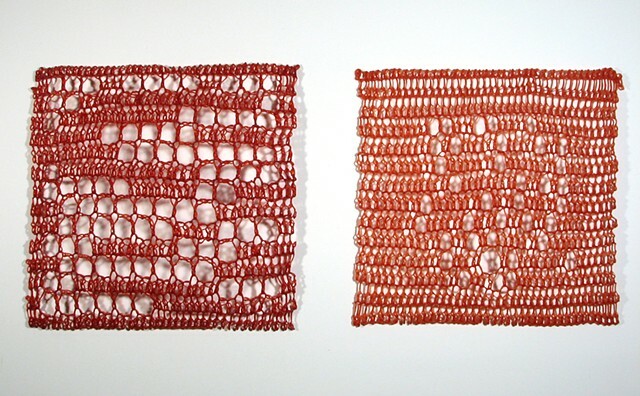 The first two variations of hopefully a much larger series, Pi Charts utilize a traditional crochet format based on patterns created on a grid, where squares are either filled or left open. Using this charting system, Pi Chart 32 articulates the first 32 digits of pi and Pi Chart 39 the first 39. Each uses a different articulation system to reveal a unique pattern.